Of the 23 current students who were involved in the production, 21 of them are musical theatre students and two are theatre students (listed below). Also involved were two musical theatre alumni and one theatre alumna. Full-time voice instructor in the Musical Theatre Program Emily Speck was the production’s choreographer. 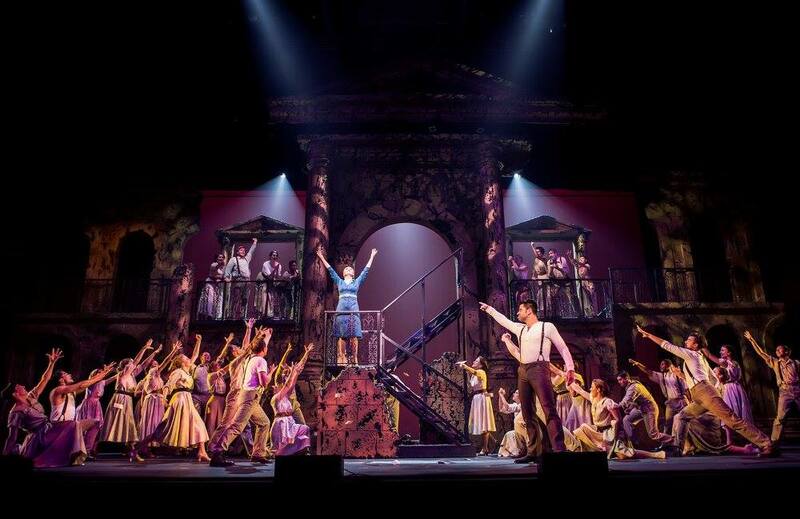 New York talents in “Evita” included Broadway performer Eden Espinosa and Tony-Award winner Anthony Crivello. The names of the students and alumni involved are listed below. Current Musical Theatre students: Abby Docherty, Delaney Gold, Kyle Carress, Lexie McEntire, Quinton Craig, Dylan Davis, Gabe Hoyer, Anna Dewey, Mary Kate Hughes, Meredith Waggoner, Arden Taylor, Natalie Ragazzo, Imari Thompson, Julian Malone, Jake Perotti, Katelynn Fahrer, Dani List, Katie Grogg, Lizzy Hinton, Samantha Blake and Becky Flaherty. For more information on the production and to watch the trailer, visit Studio Tenn’s site. To see behind-the-scenes footage of the production, click here. Above photo provided by MA2LA.